The Government has ordered British universities to achieve equality of outcome between ethnic groups, warning of sanctions for institutions which fail to make “good progress” towards this goal. Ministers announced that universities would be held to account on disparities in academic attainment between different ethnic groups after data showed gaps in the proportion of students awarded top grades for their degrees. The latest figures show that 79 percent of white students received a first-class or upper second-class (2:1) degree in 2015/26, compared to 72 percent of Chinese students, 71 percent of Indian students, 62 percent of Pakistani students, and 51 percent of “Black Other” students. New powers given to universities watchdog the Office for Students (OfS) will see institutions forced to publish data on admissions and attainment, broken down by ethnicity, gender, and socio-economic background, in order to “shine a spotlight on those making good progress and those lagging behind” on equality of outcome between different demographics. “Traditionally the language of the attainment gap has focused on students’ underachievement or lack of attainment, whereas it should focus on the institutional culture, curriculum and pedagogy,” it added. The ECU’s call for universities to look at changing what is taught in order to boost minority ethnic groups’ grades echoes far-left demands for British institutions to “decolonise” courses by replacing writers, thinkers, and scientists of European heritage and “Eurocentric” subjects with alternatives from the Global South — a process which advocates say would help to address “institutional racism”. Measures announced by ministers this week came as part of the Government’s ‘Race Disparity Audit’ — an initiative commissioned by Prime Minister Theresa May to measure differences between ethnic groups in a range of areas, from stop-and-search and arrest rates to home ownership levels, with a promise to bring in measures which would stamp out differences. In a press release from the Cabinet Office, universities minister Chris Skidmore said: “Universities need to reflect modern Britain, and ensure that everyone who has the potential, no matter their background or where they are from can thrive at university. “I fully expect access and participation plans, which universities will be drawing up this year for implementation in 2020-21, to contain ambitious and significant actions to make sure we are seeing material progress in this space in the next few years. Professor Edward Byrne, President of King’s College London, where Mr Skidmore launched the initiative this week, appeared to contradict the minister’s claim that equality measures are a bid to ensure universities reflect the demographic make-up of the United Kingdom, stating he was “proud” that 49 percent of undergraduates at the institution in the previous academic year “were from black, Asian and other ethnic minority backgrounds” — which is actually far above their share of the general population. 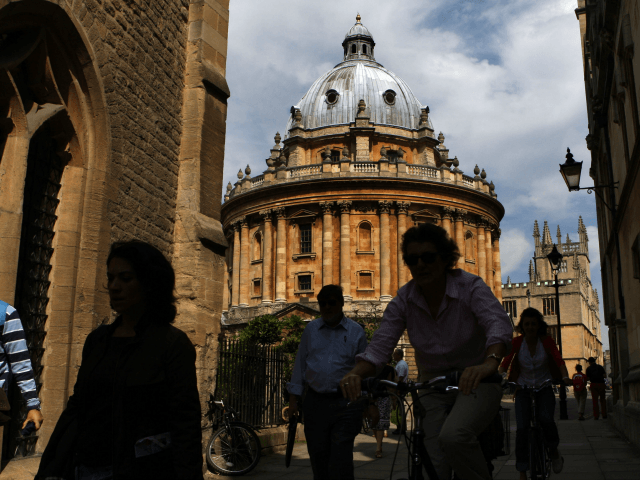 Breitbart London previously reported how non-white students are now a majority at 23 higher education institutions, and data shows white school pupils were significantly less likely to go on to higher education than those from other ethnic backgrounds. With the lowest entry rate of all ethnic groups, just 29 percent of white pupils commenced higher education in 2017, with figures revealing young white people from the most wealthy socio-economic group were less likely to attend university than Chinese pupils from the poorest backgrounds. Entry rates rose from the previous year across the board, however this was lowest for white students, at 1.5 percent, while for Chinese the figure rose 3.6 percent to 63 percent, for Asian 3.8 percent to 45.8 percent and the black entry rate increased 3.2 percent to reach 40.4 percent.